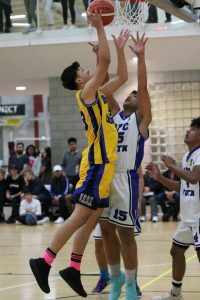 In basketball news, the Senior A side won their match against St Pat’s Town 92-84 last Friday night to finish the regular season in 1st place in the Wellington Premiership. They have their semi-final against 4th place Wellington College at the ASB Centre at 5pm tonight. The Senior B Side has also qualified for the semi-finals in Division 2 and will be playing after the Senior A side at 8pm. Congratulations to both senior sides for making the semi-finals. The Junior A side lost their semi-final against Scots College 98-80 to finish their season in 3rd place. Congratulations to the Junior B basketball side which won the regional final of Division 6 after beating St Bernard’s 73-49. In hockey, the 1st XI played a friendly against Wellington College on Friday in preparation for their Premier final against Paraparaumu College tonight at 8pm, going down 3-2. Tonight’s final is the first time since 1996 that Rongotai College has qualified for the final of the premiership and we are looking forward to a big crowd and a quality performance by the team at the National Hockey Stadium tonight. The 1st XI football finished a successful season in 4th place in the Premier division after losing 2-1 to St Pat’s Silverstream. Having won promotion through grading after being Division 1 champions last year, this shows the increasing depth and quality of football here at Rongotai College. The 15 Gold football side lost a thriller against Onslow College 6-4 on Saturday. Coming back from 4-1, they did well to level up at 4-4 before Onslow pulled away again right at the end. Attention now turns to tournament week with the 1st XI travelling to Napier, while the 2nd XI and a Development side will participate in the annual Rongotai College Cup. The CSW rugby season has now officially come to an end with the U65s winning the plate final against Naenae College 55-19. We now look forward to the Hurricanes U14 and U15s tournaments during tournament week, and the 7s programme in Term 4. In badminton, the senior A side have their Premier Regional final against HIBS this afternoon at the Hataitai badminton courts at 4pm. Badminton coaching has also started this week for boys Years 9-11. Great to see 16 boys sign up to take advantage of the skill sessions which are happening during Tuesday lunchtimes in the Renner Hall. There are a couple of spots left, so if you are interested but missed the sign up, please see Mr Dixon today. Lunch time cricket sessions for Year 9 and 10 students also started this week with coaches from Victoria University Wellington Cricket Club coming in to run Thursday sessions in the Tin shed until the end of term. These are open to all Year 9 and 10 boys, these are free and you don’t need to be registered. Boys interested in playing for the senior rugby league team should see Mr Akula today for a registration form. Registration forms and payment are due shortly. To finish the weekly sports report, can I wish good luck to the badminton, Senior A and B basketball and 1st XI hockey teams for your big games this afternoon and this evening. We hope to see large crowds of students and staff along to the games.